Sometimes to help organisation and keeping things together I will made a document to throw everything into. 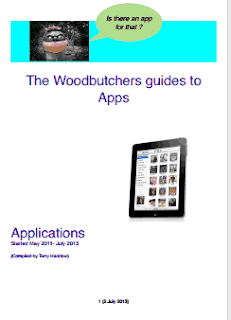 I have a document that I started ( a while ago) to make observations about apps and their potential use. It started off as a class list but has started to evolve into something different. It is a work in progress and one that gets neglected for a while and then returned to. So my apologise for broken links or incomplete sections. I have included it here as a pdf link as well as an ePub for those who wish. Only too glad to help - glad you found it useful.